Schoonover- Your source for technical equipment. Check out the latest promotions offered by Schoonover and our represented companies. Save money on new and refurbished equipment. Our line-up of represented companies for high vacuum and technical product companies. At Schoonover, we represent only the highest caliber companies. Apex Sciences is home to our brand of the very best vacuum & technical products. Visit our On-Line Store for the best products some with free shipping. Making the best choice in choosing the right equipment can be an onerous task. Using the Hydro-Lok Subsurface Leak Detector (for underground water, gas, cable or steam lines) you fill the line with non-combustible 5% Hydrogen/95% Nitrogen tracer gas. 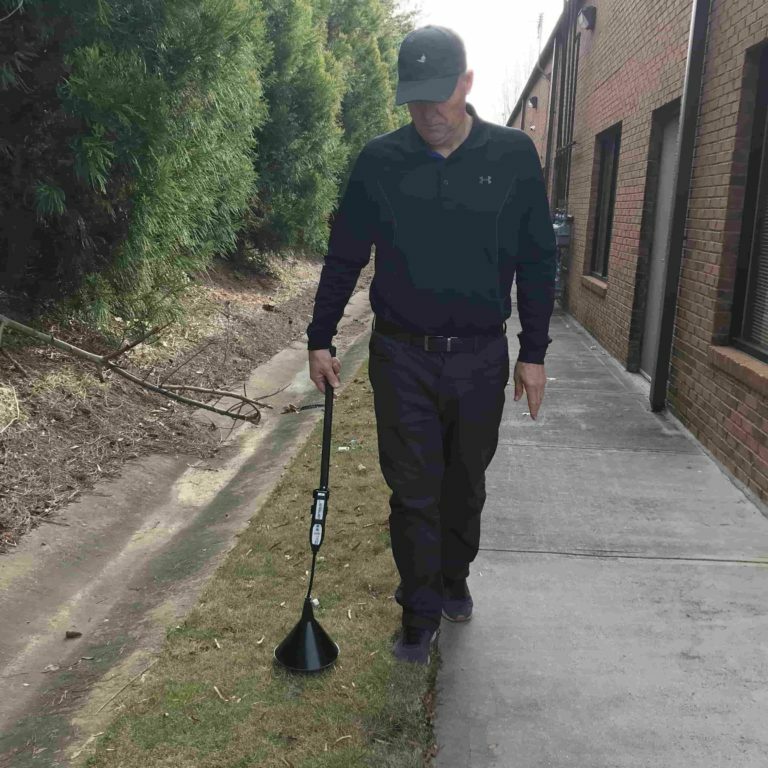 Let it seep to the surface and then detect walking the line with our Hydro-Lok Hydrogen Leak Detector. 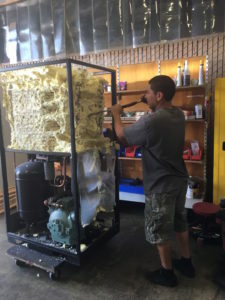 Pat Toland of M&T Systems in Santa Rosa, California started his company after spending a number of years as the Polycold Service Manager. His guys, shown in the picture, restore a Polycold to a "like new" state. Seen here is after the stack foam has been removed. The tubing has been leak checked and, next, will be re-foamed before the new compressor is installed. 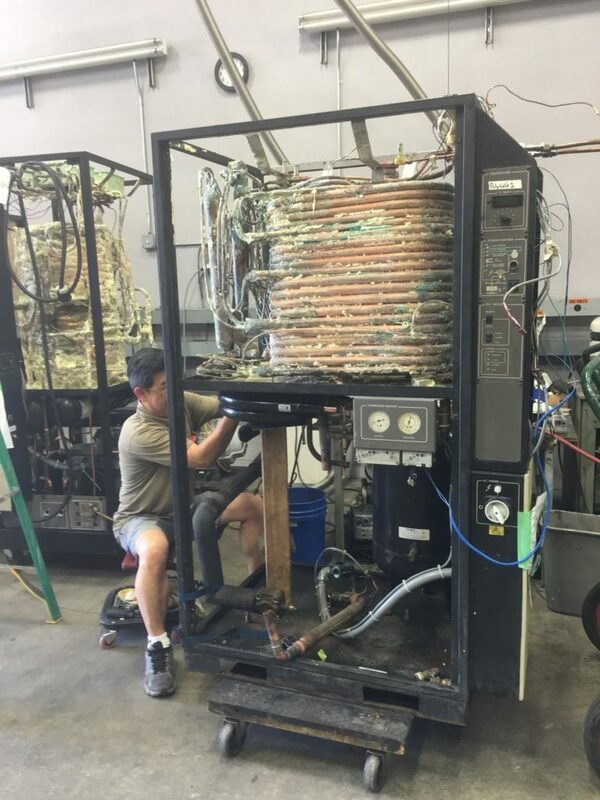 Once complete, the unit is tested and sent back to the customer to be re-installed on the chamber. See our Polycold Service Page for more information. Schoonover represents M&T Systems throughout North America, Canada and South America. We also sell refrigerant gases for a Polycold worldwide.